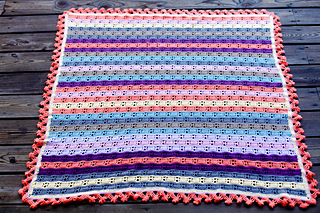 36" x 38" and 42" x 42"
When I created this pattern, I decided I wanted to make a “large” baby blanket. 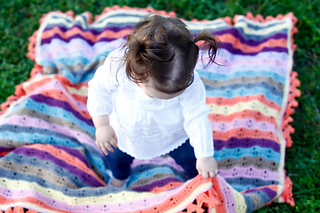 One that could be used from baby on up through the toddler years. It turned out very generously sized and very light. 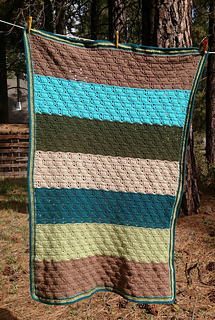 It will work perfectly as a transition blanket for the seasons, as well. 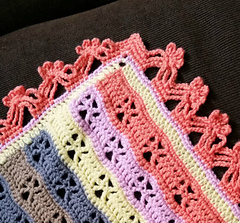 This lovely lacy baby pattern is a very easy pattern for beginners. 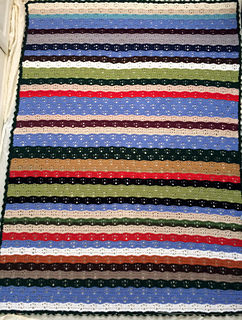 It is constructed in a simple 8 row repeat. 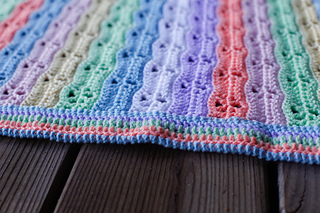 There are extensive instructions, and a short picture tutorial for you to familiarize yourself with the stitch pattern. 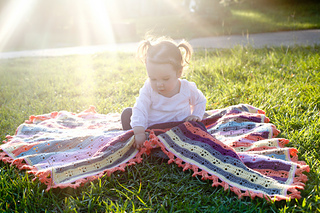 There are two blanket sizes provided, and two border designs included in the pattern. 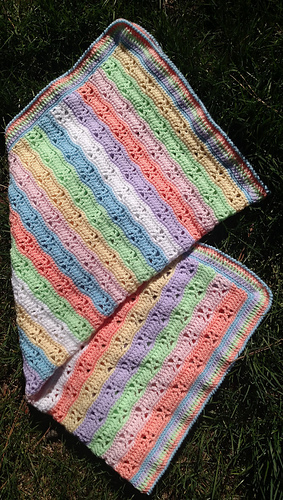 The snowflake border is only available for the larger “toddler” sized blanket. 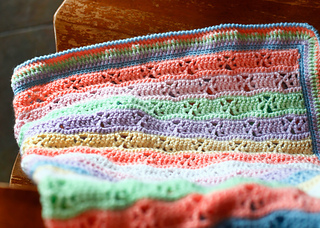 There is no real gauge for this blanket. 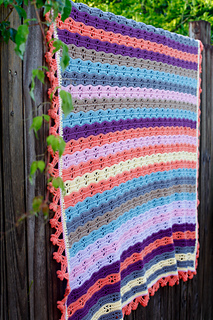 If you are a tight crocheter, I would suggest you go up at least one hook size from the pattern. 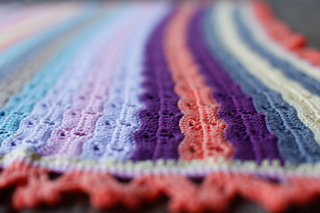 If you are a loose crocheter, I would suggest you either stay the same or go down a hook size from the pattern.